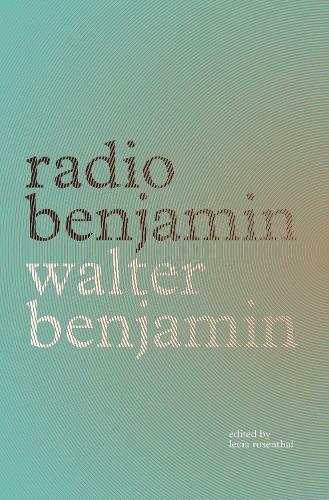 From 1927 to 1933, Walter Benjamin wrote and presented more than eighty broadcasts over the new medium of radio. Radio Benjamin gathers, for the first time in English, the surviving transcripts. This eclectic collection shows the range of Benjamin's thinking and includes stories for young and old, plays, readings, book reviews, a novella, and discussions of topics ranging from finding a job to the architecture of Berlin to an account of the railway disaster at the Firth of Tay. Delightful and incisive, this is Walter Benjamin directing his sophisticated thinking to a mass audience.